It appears that there’s an appreciable risk of your Sekiro save data getting corrupted if you’re playing on PC. It’s happened to me – which will delay our final review a little bit – and we’re seeing a number of anecdotal reports on Reddit and the Steam forums. To minimise the risk, ensure that you’re quitting the game through the proper channels – rest at an Idol to save your progress, then quit to the title menu, then quit from there to desktop. Bit of a faff, but better than losing all your progress. Even then the game has crashed or hung on me, leaving me with no option but to hard reset. It was on one such occasion that I lost my data, so it’s prudent to back up your save file reguarly. Here’s how. Your save data is found at C://Users/’your user name’/AppData/Roaming/Sekiro. It’s hidden, so go into ‘properties’ and tick the box to view hidden files and folders. Copy everything in that folder to a backup folder wherever you fancy. Anecdotal reports of save corruption on PC have been popping up on Steam, Reddit, and GameFAQs over the weekend since Sekiro launched. Generally they follow crashes, blue screens of death, or forced quits. Replying to a thread on this subject, Steam user Ohmz has written a script to automate the backup process, if that helps. Note also that Steam’s cloud saves can’t be relied upon as they’re likely to copy the corrupted data. We’ve reached out to Activision to ask if this issue is being investigated and if there’s anything else you can do to keep it from happening to you. 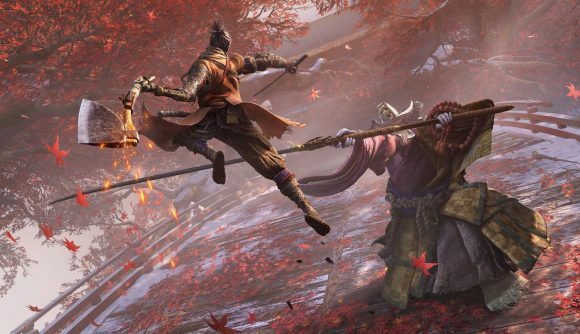 Sekiro is the most popular Steam launch of the year so far, with a peak of 125,000 concurrent users over the weekend, so we hope not too many of you are suffering from this. Take the above steps and you should be fine, though if you’re in no hurry, it might be wise to wait until the game has been patched and stabilised before jumping in.